The bar at UpperWest in North Cambridge. Its location is comically oddball: the wood-paneled basement of an old-timey veterans hall. Its menu — about a half-dozen dishes, most so simple they don’t even require a stove — can barely be called one. It has a grand total of two full-time employees, and finding its entrance requires a map, compass, and GPS. So even I am startled to type these words: At the very end of 2016, I found my favorite new restaurant of the year. It’s a bit of a stretch, actually, to call UpperWest a full-fledged restaurant. It’s basically a wine bar that serves some wonderful food, hosts pop-up dinners, offers cooking demonstrations, and invites “guest chefs” to show off their stuff. It also holds whiskey tastings, vegetable-fermenting workshops, kombucha-making classes, and other food-related events. All this happens in unfashionable North Cambridge, in the barely renovated cellar of the Eugene F. Lynch United American Veterans Post 30, which makes such a dubious first impression that I debate leaving as soon as I walk in. But by the end of the night — due to the alchemy of good food, good drinks, and good music, plus the endearing intimacy of this plain little place — I can’t wait to come back. 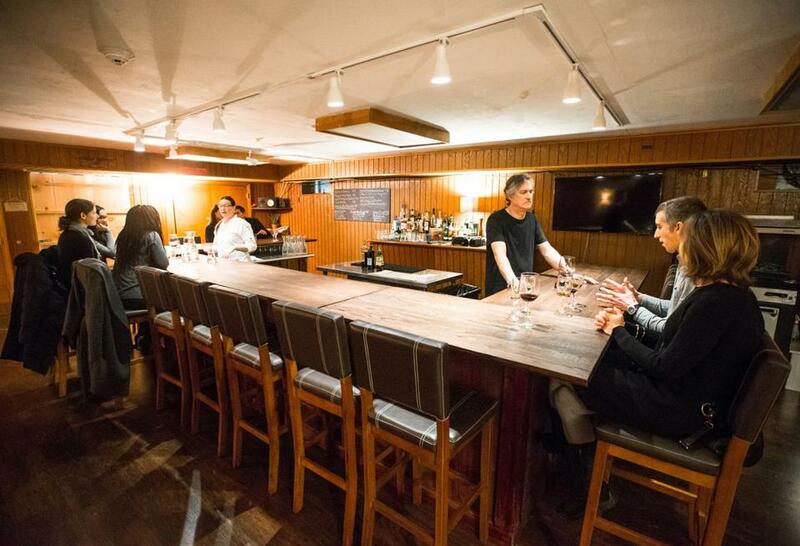 How UpperWest landed in this makeshift spot is a tale worthy of a Hollywood script. It involves the sketchy world of liquor licensing, alleged sabotage by a competitor, and claims of a falsified petition and forged signatures, all culminating in criminal charges and a guilty plea. You can read the juicy details on the restaurant’s website. Because of that soap opera, it took co-owners Kim Courtney and Xavier Dietrich (they’re a couple) nearly three years to get UpperWest off the ground. They modeled it after tiny bars found throughout Europe and Manhattan’s Upper West Side, cozy haunts where sliced meats, cheeses, and a few small plates make a satisfying meal. Amaro flight at UpperWest in Cambridge. Courtney handles all the cooking, working alone with just a convection oven and induction cooktop. Dietrich mans the bar, pouring flights of Scotch and wine. When they expect a busy night, they turn to an on-call list of people willing to help with bartending and dishwashing. Here’s the point in the review where I might tell you about the fancy banquettes and funky light fixtures, but we’ll skip that part because UpperWest has none of those. It does have a handsome old dart board, an old-fashioned china cabinet, and a framed photo of Al Wagner, the late US Army veteran whose carpentry graces the room. Courtney and Dietrich did do some modernizing, installing a laminate floor, a modular bar, and two beautiful 10-seat wood tables for communal dining. They’ve also assembled a knockout playlist, creating a lovely ambience not even marred when the Food Network plays on the bar’s TV. Where in the world is the restaurant’s entrance? In the rear of the building, but you can’t leave your car in the back lot; you’ll have to find street parking. A deep love of food infuses the entire UpperWest experience. The limited menu, which changes frequently, typically includes a charcuterie board, cheese plate, tinned fish, terrine or pate, and a pasta. Almost everything is made by Courtney: the crackers, the ricotta, the roasted red peppers, the candied bacon, the Thai chile-infused honey. Right in the dining room, she raises microgreens under grow lights and dries meats in a jury-rigged wine chiller (pork loin, bresaola, duck breast prosciutto). I worried that UpperWest’s narrow food selection couldn’t possibly be enough for a proper meal, but I leave full and satisfied each time — a lesson, perhaps, in how Americans would benefit from a simpler approach to eating. 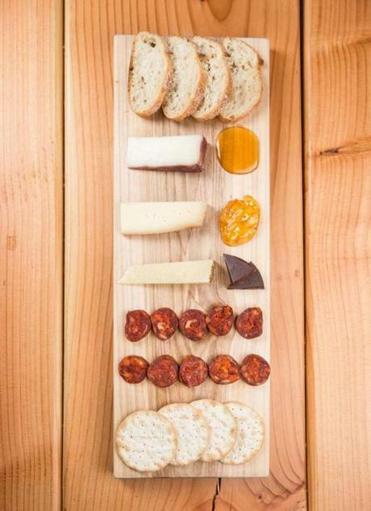 The charcuterie (salami, soppressata, chorizo in sweet and spicy varieties) is robustly flavorful. Excellent cheeses (Spanish on one visit, Italian on another, some hard, some soft, some goat, some sheep, some cow) are helpfully arranged from mildest to boldest. Accompaniments include grapes, olives, orange marmalade, dried apples, and dark chocolate. Simplicity reigns here. Delicious manchego is cured in olive oil infused with sage, garlic, and thyme. Mild anchovies, not at all salty , are served with nothing but roasted red peppers. Wild Portuguese sardines, also mild, are paired with only cannellini beans, salt, and pepper. Those same beans with canned tuna sound mundane, something we’d whip up at home when the pantry is nearly bare. But this is the best kind of peasant food: warm, filling, aromatic with sage. Pork terrine, with ground shoulder and belly on the outside and tenderloin on the inside, is sliced into overly thick slabs on our first visit, like wedges of meatloaf. On our second visit, it’s cut thinner, allowing us to better taste its seasoning of cloves, rosemary, thyme, and sage, and it’s elevated by sweet onion marmalade. Even better is Courtney’s savory mushroom pate, a blend of lentils, porcini mushrooms, and baby portobellos. Vegan, it gets depth of flavor from shallots, thyme, bay leaf, and cayenne, and makes a wonderful spread on slices of baguette. Courtney’s masterpieces are her handmade pastas. Mushroom ravioli, simultaneously light and rich, are bathed in brown butter sage sauce and dusted in Parmesan. 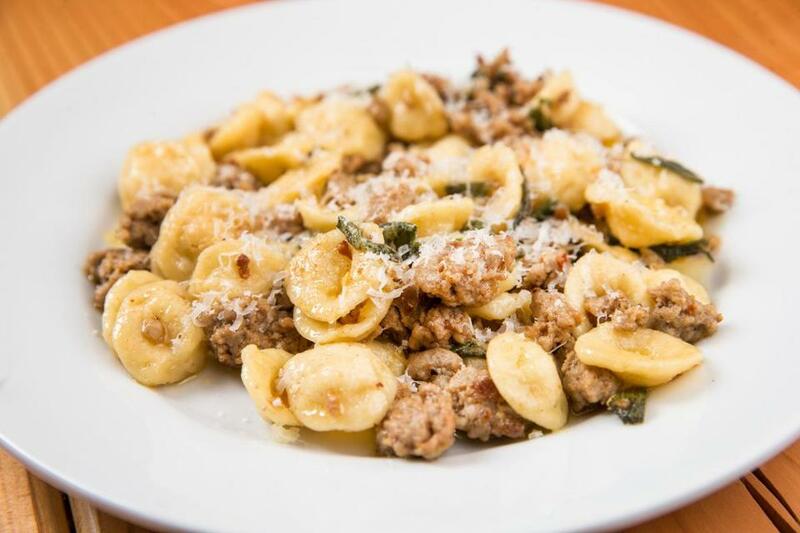 Little ear-shaped orecchiette with crumbled Italian sausage are also excellent. Dessert isn’t usually offered, but we luck out one night and get the last scoops of an unusual concoction left over from a guest chef: chocolate-seaweed ice cream. Tasted alone, it has a faintly briny flavor, but tried with candied bacon, the delicate ocean taste is masked by the salty meat. 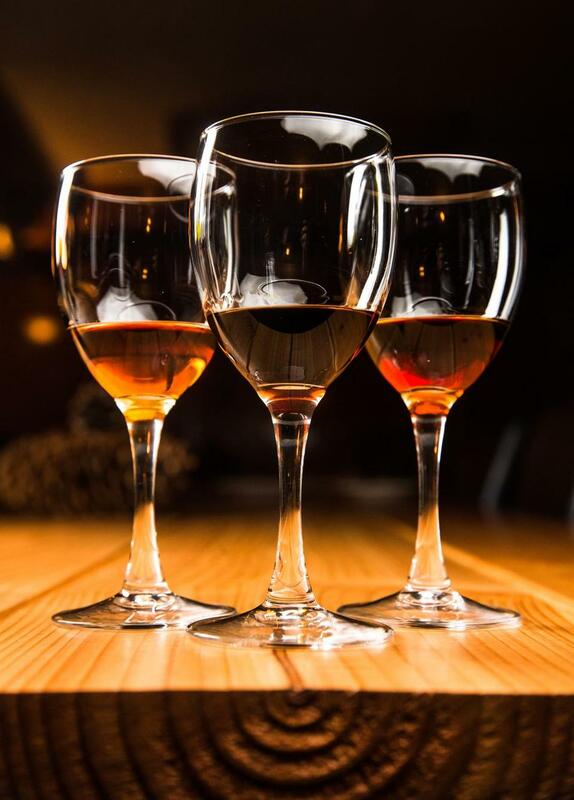 For a different way to end your meal, try a flight of amaro, Italian herbal liqueur. Some sips are bitter-sweet, some redolent of pine. All are delicious. A few quibbles: UpperWest could use more vegetables on its menu; service can be a touch slow, although that’s to be expected given the bare-bones staffing; and the paint cans and mop bucket in the bathroom have got to go. Still, never have I entered a restaurant with such trepidation and left so utterly charmed. There are no airs here, no pretensions, no interior designer’s bling, no lengthy list of appetizers and entrees. The lack of those things will turn off some people. For the rest of us, the simpleness and modesty of UpperWest, its bewitching speakeasy aura, and its extremely satisfying food are why we’ll keep going back and back. 1 Cedar St., North Cambridge, 617-714-5734, www.upperwestcambridge.com. All major credit cards accepted. Not wheelchair accessible (several steps down). Hours Tuesday-Thursday 5-10:30 p.m., Friday and Saturday 5 p.m.-midnight, closed Sunday-Monday.